When I was small, my mother told me not to run whilst carrying scissors. These days I rarely feel the need to run carrying scissors, but even if I wanted to I wouldn’t. Mother knows best. 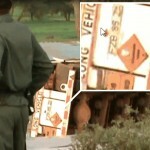 Dangerous items should be transported with due care. I cannot help thinking: if only the good people at AVOCET mining company, SAMSUNG (Korea) and VEHRAD TRANSPORT (Ghana) had listened to their mothers. The article that follows is a detailed exposé of a cyanide spillage which occurred on 29 July 2011 in Djibo in the north of Burkina Faso. Most of the photos on this page and in the gallery are stills from a video taken shortly after the incident by my friend Didier. The pictures are poor quality but they give an impression of the scene nevertheless. 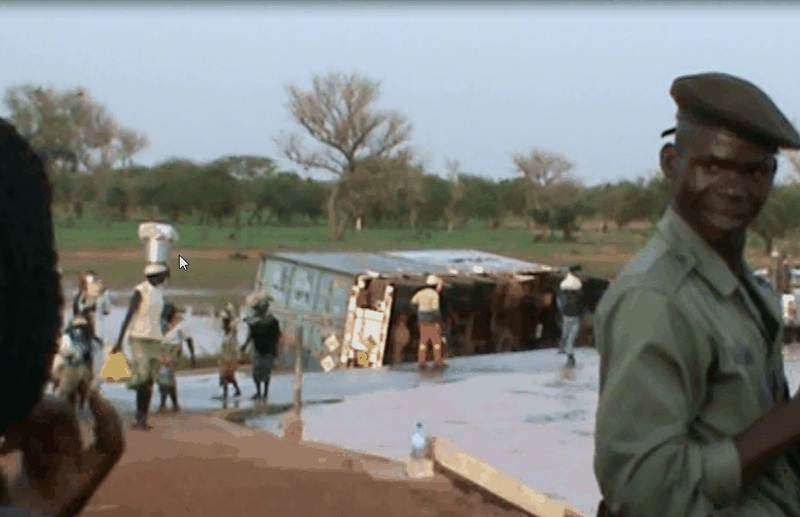 A couple photos are taken from the mine director’s official report entitled “Potential Cyanide Emergency at the Djibo Dam” – these photos are credited in the captions. 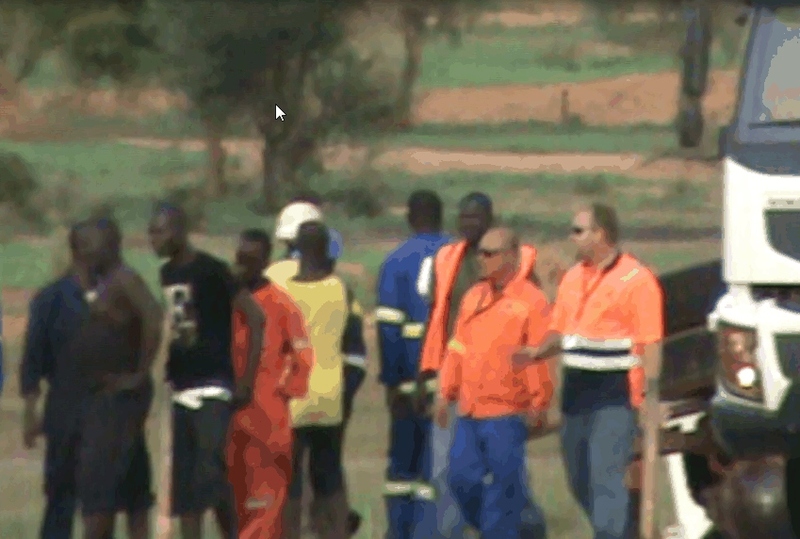 I will include some longish extracts from the director’s report in the following article, but for those who want to read the full report, I uploaded it here: Potential Cyanide Emergency at the Djibo Dam (right-click and ‘save as’). At the time of writing this, I could not find anything in English on the internet related to this accident – I googled cyanide and Djibo expecting a deluge of information – but nothing. However, there are various articles in French (google the words cyanure Djibo), all of which stem from two original reports published in Burkinabe newspapers and online, one by Hyacinthe Sanou, the other by Adama Amadou. News articles with comments enabled have attracted a torrent of indignant opinion from Burkinabe men and women who are fed up of this sort of thing happening. Some of the comments were clearly posted from Djibo’s cybercafe – two are from people I know. What I have written below looks like an interview but it isn’t. The subheadings are there simply to aid readability. What happened in Djibo on 29 July 2011? I immediately knew the dam wall he was talking about. 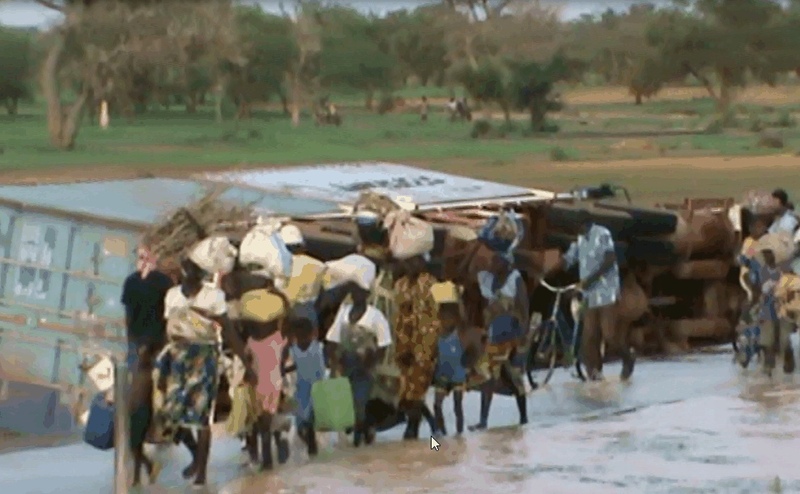 It forms the northern lip of the Djibo reservoir, and has a spillway along which all cars and motorbike heading in the direction of Dori have to travel. The spillway is so narrow that two donkey carts can barely pass each other, and it floods in rainy season (July to October) making passage even more treacherous. A murmuring crowd lined the reservoir banks near the scene of the accident. Young and old craned their necks for a glimpse of the fallen lorry. And there it was, lying on its side in the water, massive and immobile, wheels akimbo. Most of the onlookers would not have been able to read the words CHIMIQUES TOXIQUES on the back of the lorry, but the neon skull and crossbones sticker proclaimed its own bleak warning. 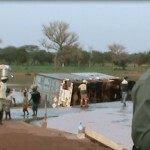 On 29 Friday 2011 at approximately 12:30pm, an incident involving an over-turned truck and cargo occurred on the dam wall at Djibo. 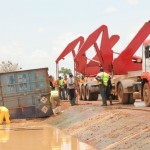 A truck belonging to VEHRAD TRANSPORT (Ghana) was transporting two 20 tonne containers of cyanide to the Inata Gold Mine. 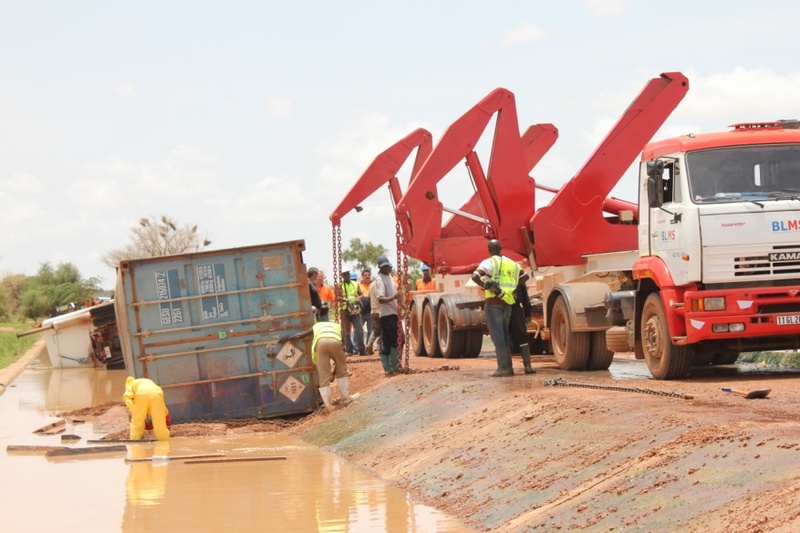 As it entered the concrete spillway section of the Djibo dam wall, the driver lost control of the vehicle and it fell onto its side into shallow water on the downstream side of the wall. 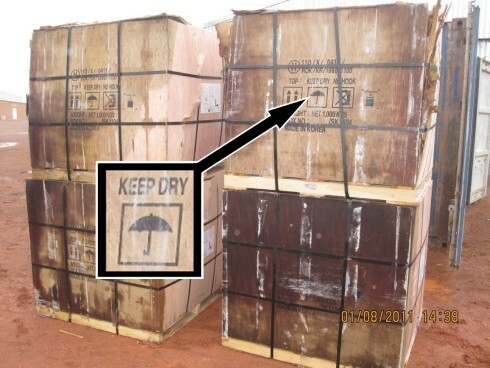 The transport company VEHRAD TRANSPORT is contracted by the international cyanide supplier SAMSUNG (Korea) to deliver cyanide in West Africa. What was the initial response to the emergency? Gendarmes arrived quickly on the scene and stood at either end of the dam wall. 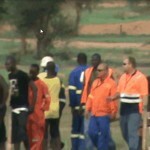 A team from the gold mine appeared soon after (Inata mine is only forty kilometres from Djibo). 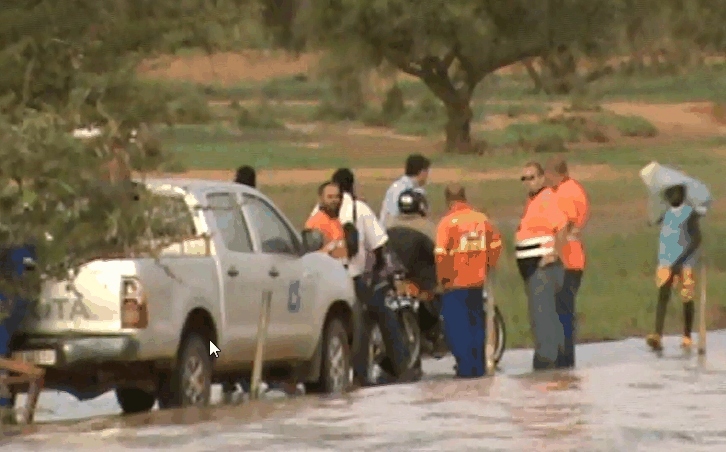 They wore orange jackets and grim expressions as they set about assessing the damage. All the onlookers were asking each other the same questions: Had the two containers ruptured on impact? Had they sustained water damage? Had any cyanide found its way into the water? If so, how much? The local radio station started announcing repeatedly that nobody should touch any water from the lake or from the wells in the vicinity. Cows must not drink there, children must not wash there, normal life must be suspended immediately until we had more information about the threat. The people of Djibo spiralled into what one Burkinabe commentator called la psychose – a collective psychosis which lasted several days. The panic was not confined to Djibo. The town of Burow lies forty kilometres downstream from Djibo, and the people there were told not to draw water from their wells – only from their pumps. Even the animals had to be given pump water to drink, and in a pastoral region such as this, you can imagine the chaos that this caused. My friend Paate tells me that the queues at the pumps stretched all the way to the horizon. 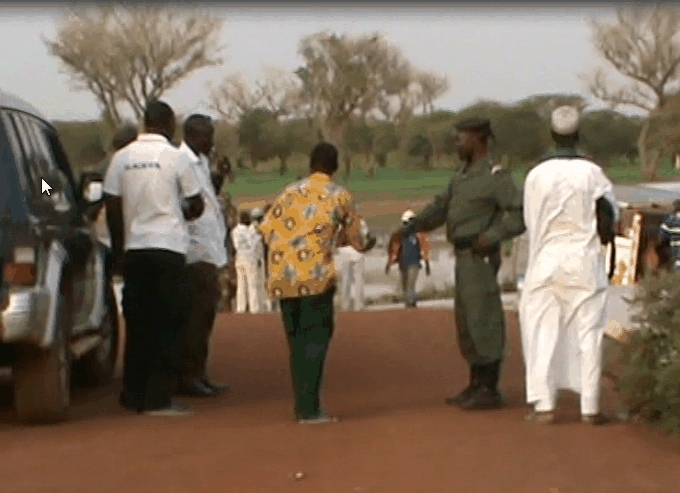 Burow, Djibo and all the villages in between had suddenly fallen victim to one driver’s carelessness . Or perhaps three wealthy companies’ carelessness. Considering the potential severity of the incident, SMB was immediately advised of the event and asked to assist. 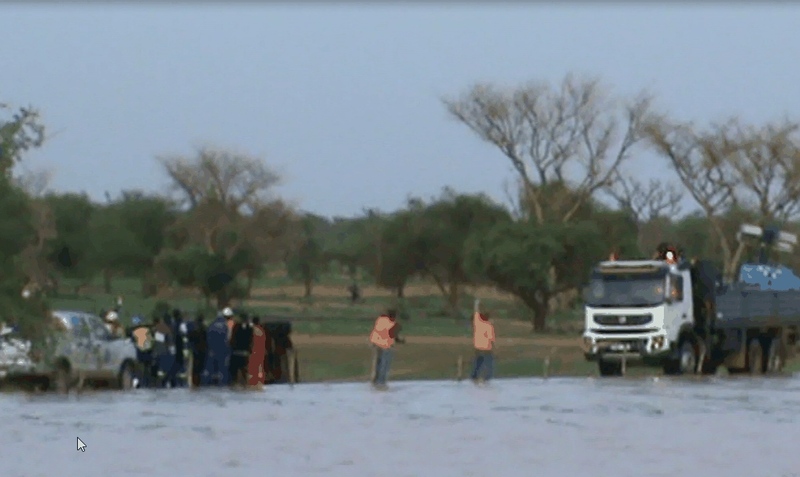 In the best interest of the people of Djibo and the region, and taking into account its duty of care as a responsible corporate citizen, SMB immediately dispatched a team of specialists and resources to Djibo with a view to providing technical and logistical support to SAMSUNG/VEHRAD towards limiting and eliminating any potential hazards arising. Immediately after being made aware of the event, SMB notified all relevant regional and national authorities that the incident had taken place, advised of the potential severity of the incident, and requested the assistance of the authorities and the Gendarmerie to notify the populations in the area and downstream of incident site of the potential hazards arising as a result of the incident. Specifically, SMB requested the authorities to ensure people, children and livestock be kept clear of downstream water until such time as the authorities were satisfied that the situation was safe, and that permission to occupy the area and water was given. 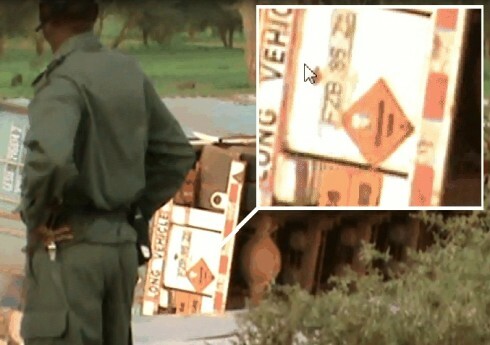 Upon first arrival at the scene, it appeared that the two cyanide containers were intact, although lying on their side in shallow water. A water sampling exercise was immediately embarked upon by SMB’s Environmental Department covering a radius of three hundred (300) meters downstream of the incident point, and this exercise continued throughout the recovery operation. Some fish mortality was observed in the immediate area of the containers where elevated levels of cyanide were recorded. It doesn’t take much to kill you. Read Sparkling Cyanide by Agatha Christie, or even better this Wikipedia article on Cyanide Poisoning. On Sunday 31st July 2011, with SMB’s assistance, both containers were recovered by VEHRAD through the use of equipment provided by BLMS, a Burkina Faso company. The containers were then delivered to the Inata Gold Mine and stored in the high security area of the metallurgical plant. 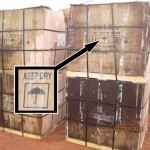 Subsequent inspection of the contents of the containers showed some impact and water damage had occurred to some of the individual cyanide boxes. 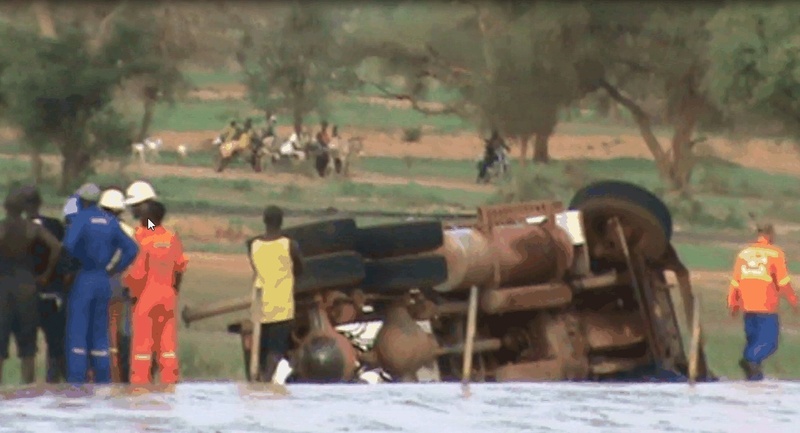 Ever since the accident the rumour mill in Djibo has not stopped turning. A week after the spill, a dead woman was brought in from Kelbo. Her husband claimed that she had drunk cyanide-contaminated water from a well but it turned out that he was lying. The truth was that during a fierce quarrel he had forced his wife to drink poison, and then tried to avoid prosecution by blaming the mine accident. Une réaction officielle, pour rassurer et surtout sensibiliser la population, n’aurait pas non plus été de trop. An official reaction, to reassure and educate the local people, should not have been too much to ask. This afternoon I asked a griot (professional musician and storyteller) what people are being told now about the accident. “Min andanaaka fay,” he replied in Fulfulde. “Do min ngoni kaa, min maayaay tafon.” We haven’t been told anything – but we’re still here, we’re not dead yet. What does the mine director’s report say about the current threat level? 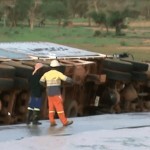 As a result of the incident, and after inspecting the contents of the containers at the Inata mine site, there is some probability that small amounts of cyanide were released to the environment. However, in that strong sunlight contributes towards the rapid breakdown of cyanide, and that the rain storm of 1st August will have had a beneficial diluting effect, the danger now posed by this event continues to diminish. The danger ‘continues to diminish’ but the tough questions are only just beginning. Tomorrow I will post part 2 of this article. We will look at the ‘Notes and Recommendations’ in the mine director’s report, and ask whether Avocet/SMB are right to be blaming this accident entirely on SAMSUNG (the cyanide supplier, based in Korea). We will also be looking at something called The Cyanide Code which exists to stop exactly this sort of thing from happening. I will try to keep my tone dispassionate but forgive me if I occasionally slip into rant mode. 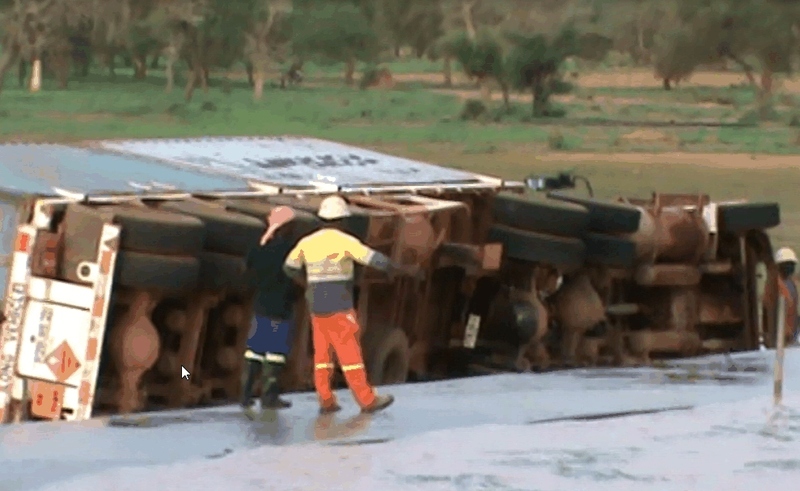 Some things are worth ranting about, and this daft accident is one of them. Thanks for reading this far. If you blog, please do publish a link to this article. If you are on Facebook or Twitter, please use the share buttons below. 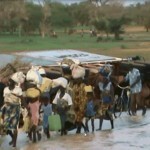 The very least we can do for the people of Djibo now is to get the word out about this near catastrophe. The more exposure this accident gets, the less chance there will be of it happening again. Good wishes to all who read this – and remember, don’t run with scissors. Cyanide in the Reservoir - but who cares? Thank you Steve. I will share this with all my team partners that traveled to Djibo in February 2011 for Cincinnati, Ohio for a week.